ABUJA – Former Minister of National Planning, Professor Abubakar Sulaiman has dared President Muhammadu Buhari to get ready to account for the deaths of about 400 members of the Islamic Movement in Nigeria also known as Shiites and the Indigenous People of Biafra killed under his administration. Professor Sulaiman made the charge while declaring his ambition to vie for the National Publicity Secretary of the Peoples Democratic Party (PDP) in the December 9 convention. He also chided the ruling All Progressives Congress (APC) for doing too little to tame the menace of corruption, terrorism and economic hardship in the land. “Our president should be ready to account for the blood of 400 innocent Shiite Muslims massacred in Zaria, that of the lDP refugees, the massacre of IPOB members and other state sponsored attacks. “Mr. President must be prepared to account for the deep hatred he has shown towards certain ethnic groups, which is evident in the lopsided appointments and recruitments carried out by his administration against such ethnic groups in the country. “Today, Nigeria is at a crossroad. Less than three years after the exit of our great party (PDP) from government, our country bleeds profusely from corruption, inept leadership, civil strives and economic hardship. The ex-Minister whose remarks drew applause from the audience further warned President to prepare for a day of reckoning, stressing that his governance style does not reflect the attributes of a good Islamic leader. He continued: “When a leader’s mind is corrupt, nothing good can come out of it. As a spiritual being, there is no gain, saying that we will be judged someday by our creator and so I urge president Mohammed Buhari to prepare to face Allah on his style of governance that has emboldened selective justice by shielding the Babachirs, the Barus, the Jaffars, the Kyaris and many other corrupt cases of his beloved appointees in the last two years. “I want to say with all sense of responsibility that these actions are neither Islamic nor do they portray the virtue of a good Islamic leader. “It is abundantly clear that hypocrisy and double standards are the hallmark of this administration and the game of the day. 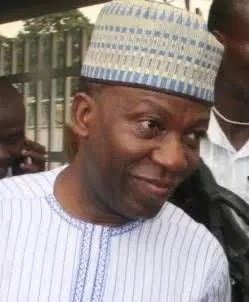 On his motivation to vie for the publicity scribe of the party, Professor Sulaiman stated: “Our party deserves a publicity secretary that exudes great personality, a person well known by the media and the general public. One whose activity has the capacity to command media attention and win the hearts of Nigerians. A cerebral, a courageous and experienced person with good oratory skills. “Permit me to say that all these characteristics are some of God’s gifts which are inherent in me and flows through me with ease. To this end, I humbly present myself as the candidate who possess the relevant managerial skill to become the National Publicity Secretary and to promote the image of our great party (PDP),” he said.